Put your travel brand on the map with an eBrochure or mobile destination guide. Now it’s easy for travel brands to weave a digital dream world of travel, leisure and excitement. City guides, digital travel brochures, newsletters, magazines and more can all be customized to your travel brand. Bring your destination to potential visitor’s fingertips with high-tech video, and pixel perfect travel photos delivered on the retina screen. 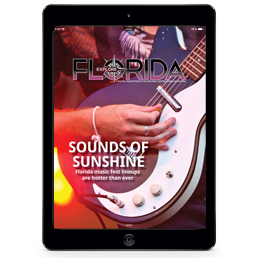 Explore Florida is a mobile app delivering Florida travel news, information and tips, created with the Mag+ app-producing software. 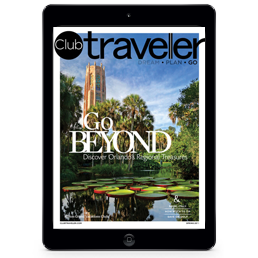 From the panhandle to the theme parks of Central Florida to the beaches and nightlife of South Florida, Explore Florida has the info travelers want, presented in a portable, on-the-go format. Users can touch, tap, and swipe their way through beautiful full-color photography, audio and video promos, regional maps, travel tips, event calendars, attraction news, hotel and dining options, regional reviews and more. Show travelers the way with your own interactive travel guides for cities, states, regions or countries, crafted and customized to showcase your beautiful destination with today’s technology. Attract visitors to your location with a digital brochure, created using Mag+ app-producing software that’s perfect for travel industry use. 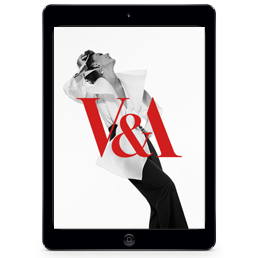 Victoria and Albert Museum’s free monthly tablet brochure includes a day-to-day calendar for exhibits, displays and general info. Viewers can find details on talks, tours and special events while enjoying the visually stunning slideshow of current exhibits, updated monthly. Mag+ app-producing software is simple to use, quick to distribute, convenient to update. Get club newsletters and internal communications done in a snap with Mag+. Our app-producing software makes it easy for travel clubs and associations to create a customized piece and deliver content directly to the mobile devices of their members. Hilton Grand Vacation Club keeps members connected and engaged with travel tips, stunning photography, and suggestions on how they can get away and escape to luxury. Best of all, mobile convenience means there’s no printing costs, no mailing costs, no wasted paper. Travel industry brands can leverage app software to showcase their destination in a variety of way. Mobile newsletters, digital magazines, travel guides and more. Don’t miss out on new tourism dollars because your destination is not mobile.